We left Patnitop quite early. The drive was beautiful. It took us couple of hours to enter Srinagar due to traffic jam. Also taxi drivers were horrible. We reached Srinagar around 2pm. 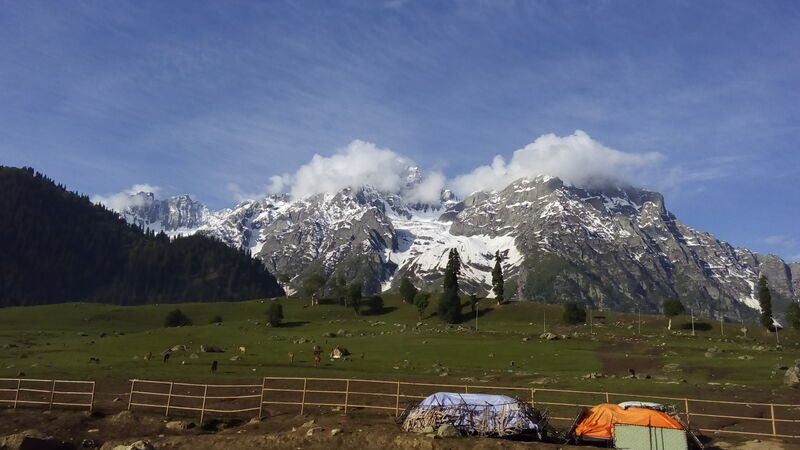 We still had lot of light hence we though of camping at Sonamarg which is roughly 90kms from Srinagar. Roads to Sonamarg is beautiful, changes dramatically. It was a good drive. Other than horrible taxi drivers everything else was great. Sonamarg is not a permanent settlement. Its inaccessible during winter due to heavy snowfall and avalanches. But its beautiful. The first checkpoint on the Leh route is at Sonamarg. Checkpoint opens at different times due to variety of factors.